Free Christmas Printables from us to you, Merry Christmas! We are proud to present our new Star Wars Birthday for your Jedi, young or old! Complete with a new color scheme and featuring new items, we present to you, the new and improved Star Wars Birthday Party Printables! 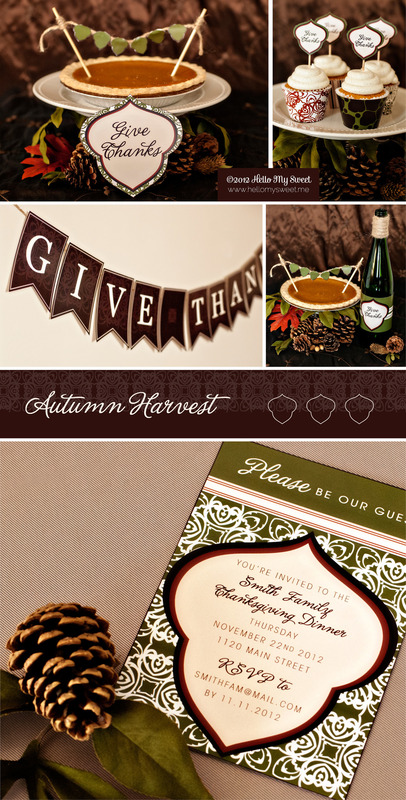 We’ve recently updated our Autumn Harvest collection and we wanted to share these Thanksgiving Dinner decorations with you for your 2012 Family Gathering. This collection is available right now in our Etsy shop and features the following printable items to make your table and buffet super chic! The package set includes text customization to suit your dinner arrangements. Tell us what you plan to serve and let us take care of the rest! 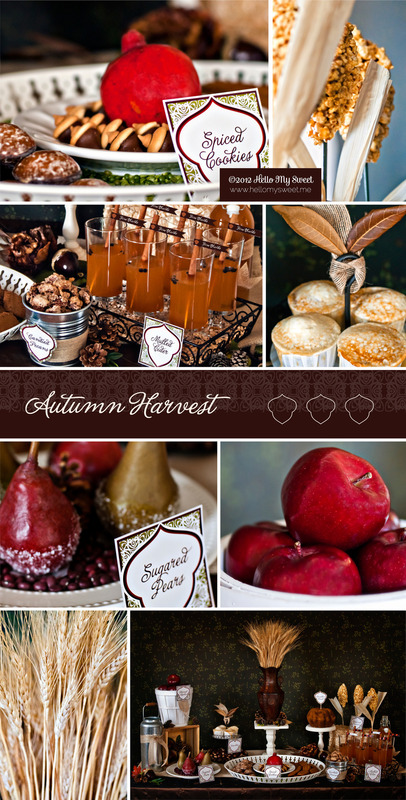 If you are new to our website, please take a peek at the following links for the Recipes and DIY Decor tips for this Autumn Thanksgiving Dinner Party. Are you a fan of The Walking Dead? If so I have something you’ll want to see. We are HUGE fans of the post apocalyptic festival of zombie, and it is returning this Sunday, October 14th for Season 3! If you have ever wanted to have your fellow zombie fans over for a premier party, now is the time. We have created a special set of party printables to satiate those zombie appetites, with A TON of decorations and ideas for throwing a Walking Dead party that won’t break your bank. In fact almost all of our decorations were found at… drum roll please…. Dollar Tree. If you read our blog then this isn’t a surprise to you but, for those who are new, ta-da we shop at Dollar Tree, a lot! Stop by Our Shop for this and other great party ideas! We are pleased to announce a new collection of printable party decorations in our shop for Halloween! Meet our Spooky Halloween Printable Collection. This party set is now available in our Etsy shop here and includes the following items for your Spooktacular Halloween!